Pullens Yards Winter Open Studios. 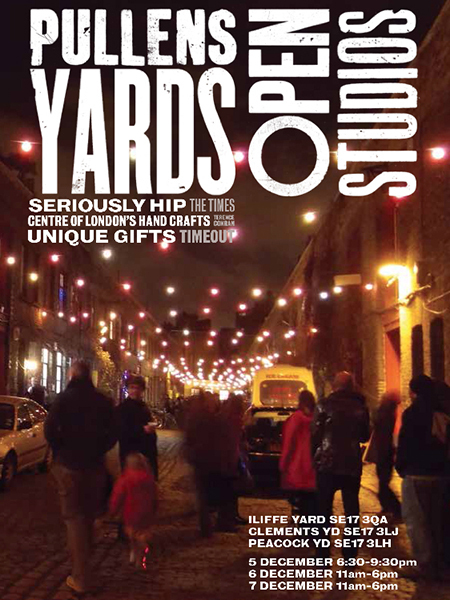 This weekend, 5-7 December, Pullens Yards have their winter open studios and Christmas sale. Gas Gallery (13a Iliffe Yard) will have lots of my new prints on sale and you’ll find them above the Electric Elephant cafe. This entry was posted in Uncategorized and tagged colour art photography print, colour photography, fine art photography, floral framed prints, floral photography, flower photo print sale, flower photography, garden, gas art, horticultural photography, kevin dutton, kevin dutton photographer, london, winter.